This little fox is old but awesome. My sims are constantly barging into the bedroom to admire him. Seriously, they won't leave this fox alone. So I'm posting a link because the download is kinda hidden away and hard to find. Downloaders BEWARE!! 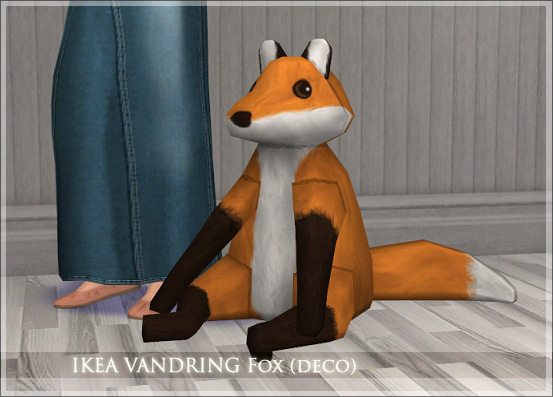 this fox is like catnip for sims! It's more highly sought after than Tickle-Me Elmo! They cannot resist!! No one can resist the stuffed fox! ...stuffed with crack! Thanks Fansee, hadnt seen this lil guy before!